Conventional polishing usually involves abrasives and backing materials that result in minute cracks in the glass surface that translate into impairment of theoretical optical performance. Magnetorheological (MR) fluids are micrometer-sized magnetic particles suspended in a carrier fluid, and "stiffened" by a magnetic field. There is no backing material. Figure 1 shows a sensor model 5051, which measures the forces normal to a stationary part due to hydrodynamic flow. Figure 2 shows a top view and oblique view of the "D" shaped removal "spot," representative of material removal without part rotation. A two-dimensional pressure map is shown in Figure 3. 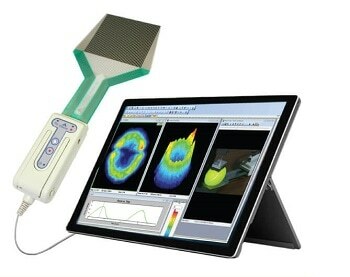 It is provided by the I-Scan™ System. Experimentation with different magnetic fields, wheel rotation rates, and other geometric, is made easier with the 5051 sensor and I-Scan pressure mapping system. 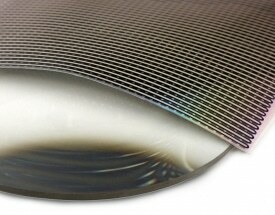 Those are done in order to optimize the polishing process. Magnetorheological finishing (MRF) of precision optical surfaces offers the advantage of improved surface characteristics in comparison to conventional polishing. 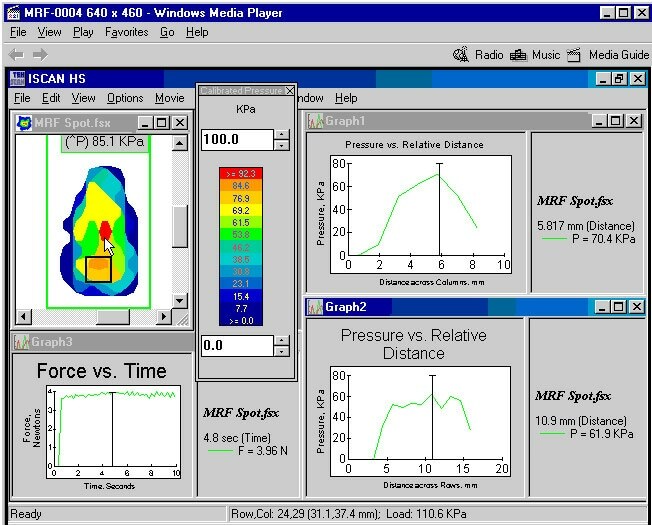 Factors, including impact pressure distribution are controlled with care, which is crucial for the achievement of the potential. 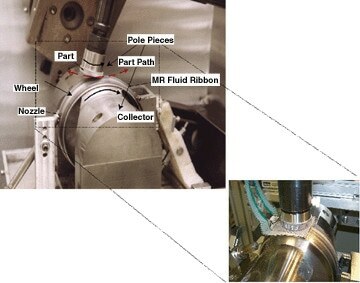 It is hard to study the properties of MRF in the polishing zone due to the opaque fluid, and the interaction of the particles in the magnetic field that results to be complex. 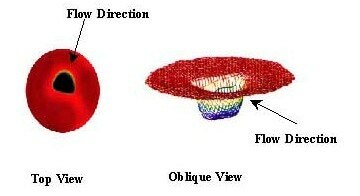 Complex interactions of particles are difficult to see or model with other techniques.